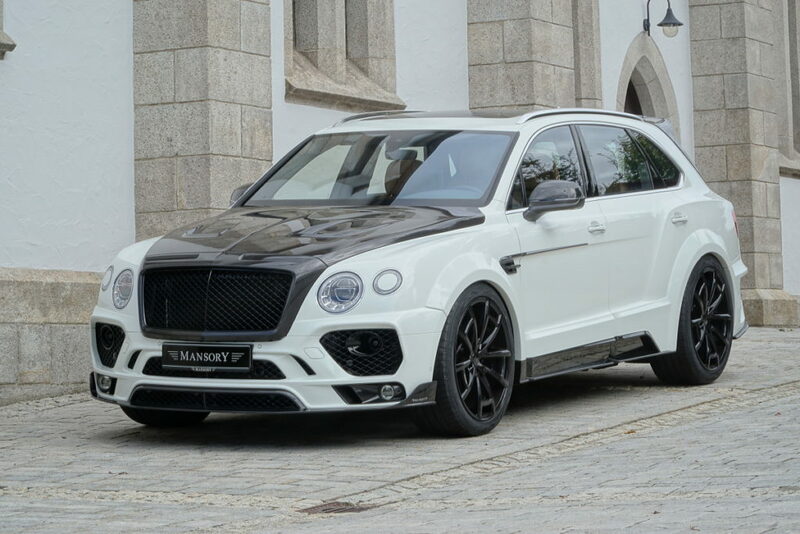 Bavarian tuner Mansory set its sights on the all-terrain Bentley Bentayga and plans to unveil its latest carbon fiber-laden creation at SEMA, the world’s premier automotive specialty products show in Las Vegas, Nevada from November 1-4. Mansory reworked the Bentayga’s aerodynamics to create a wider overall stance and appearance as well as creating a bump in power for handling in corners. The team started by enhancing the SUV’s snout with a complete apron and an integrated carbon fiber front lip as well as additional LED daytime running lights. The Bentayga’s front end also receives a carbon fiber grille and an ultra-light carbon hood for a more aggressive and wider stance. A lovely two-part roof spoiler was mounted to the tailgate to reduce lift on the rear axle and a new rear skirt was added but doesn’t seem at all necessary. Other carbon fiber bits include interior trim, mirror housing, air vents, and sportier wheels with 23-inch Continental tires. To complete the whole package, Mansory tweaked the Bentayga’s 12-cylinder engine for a substantial torque and power increase. The company claims the boost will increase speed by approximately 6 mph to a top speed of 193 mph, just shy of the magical 200 mph mark. The two-toned variant looks more appealing than the solid color version, which makes the Bentley look more like a mutant Subaru. Great work otherwise. Get more information at www.mansory.com.